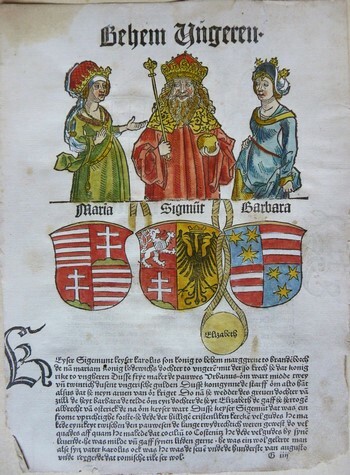 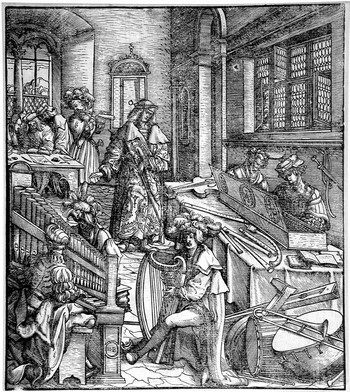 In Germany the art of engraving for printing develops between the fifteenth and the sixteenth century through a surprising improvement of technical virtuosity, especially in the cities of Strasbourg and Nuremberg. 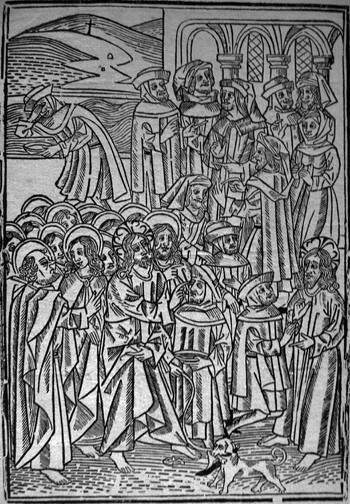 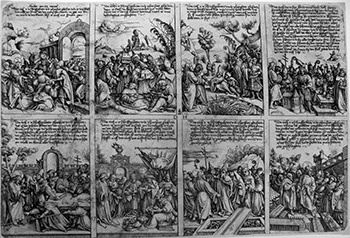 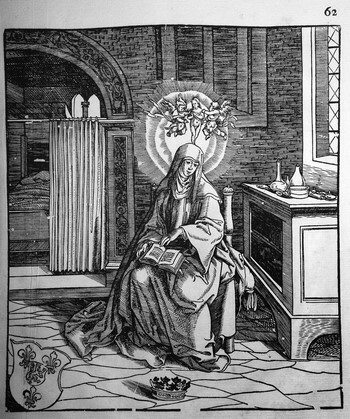 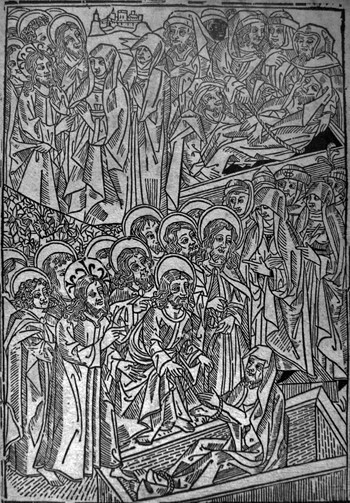 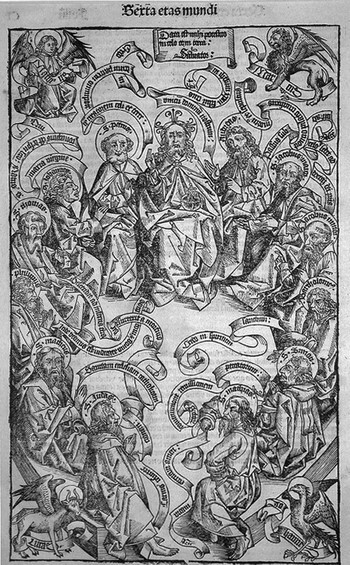 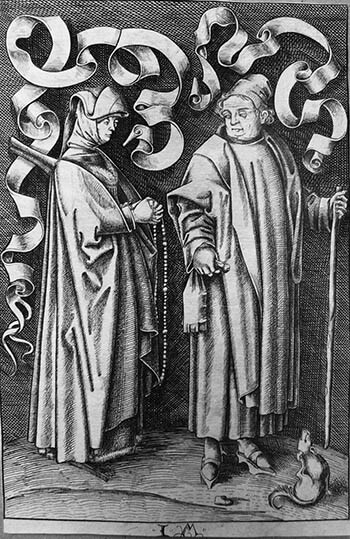 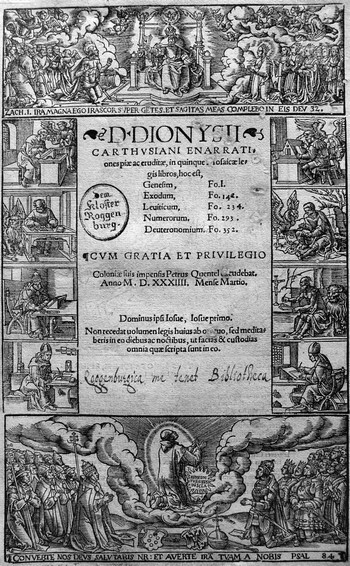 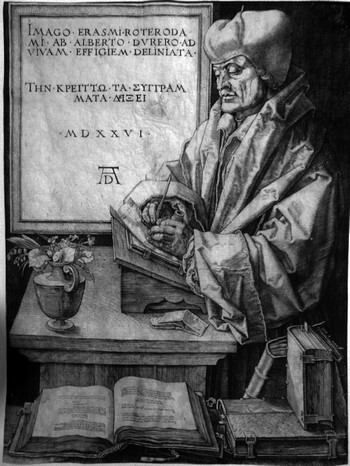 More than any other form art, printmaking lends itself to dissemination of new intellectual ferment in the period of the Lutheran Reformation. 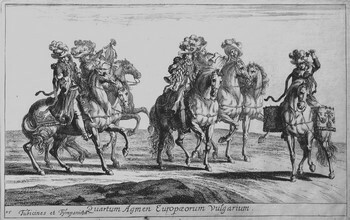 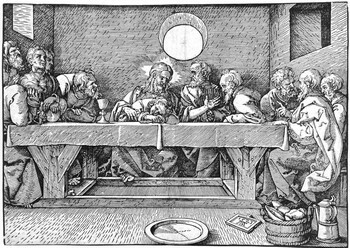 A characteristic that has prompted engravers artists to engage in this new form of expression to show not only about their artistic skills but also their thinking. 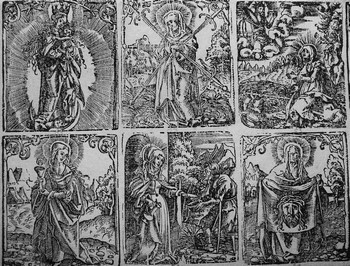 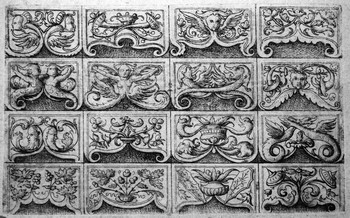 The search for new and surprising effects characterizes the works of the print masters of late Gothic culture. 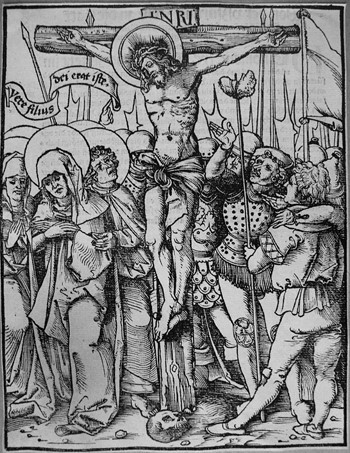 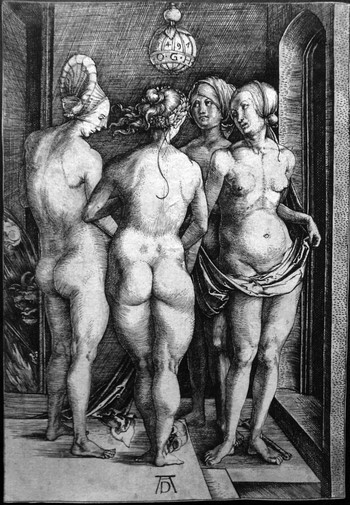 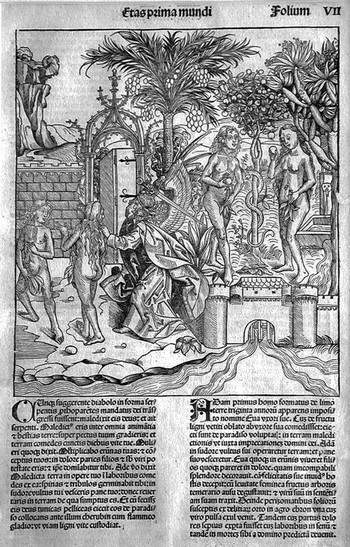 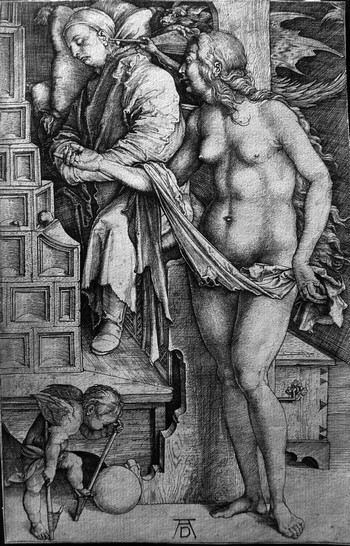 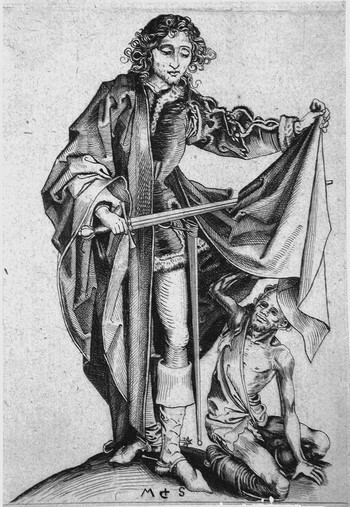 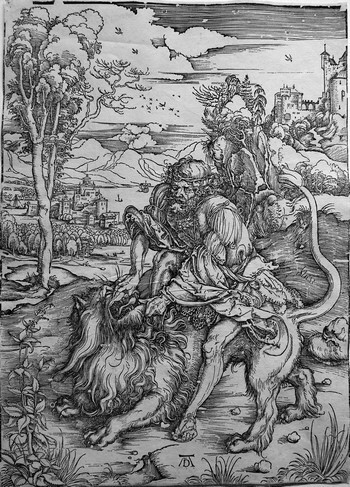 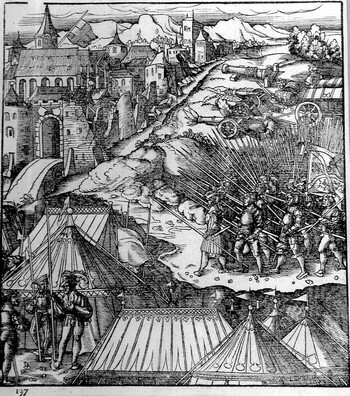 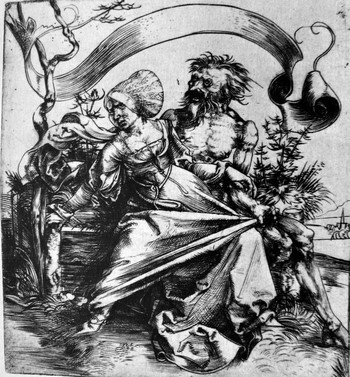 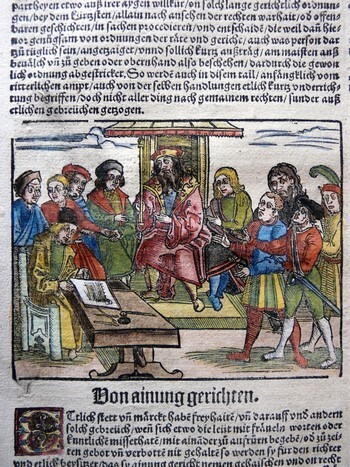 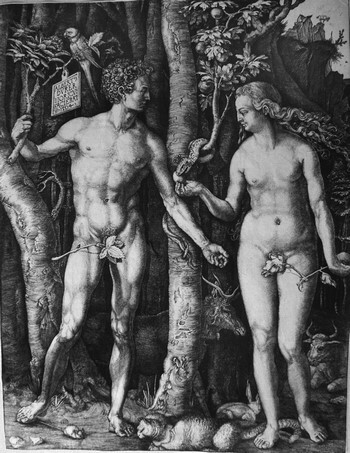 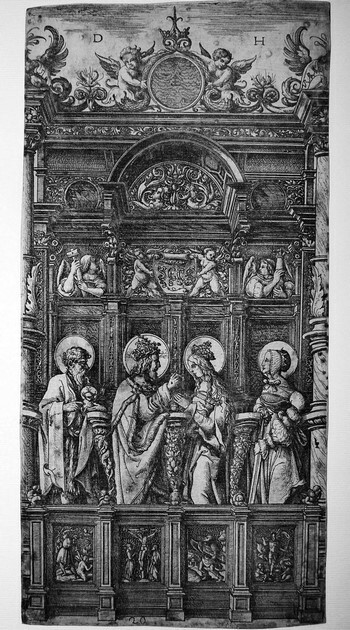 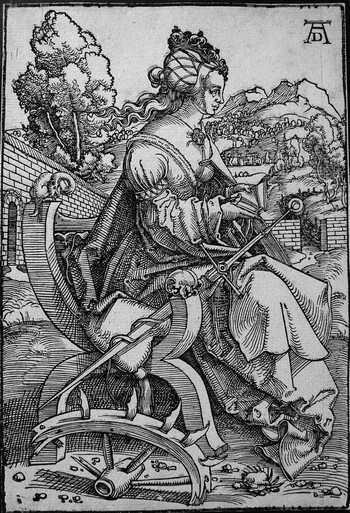 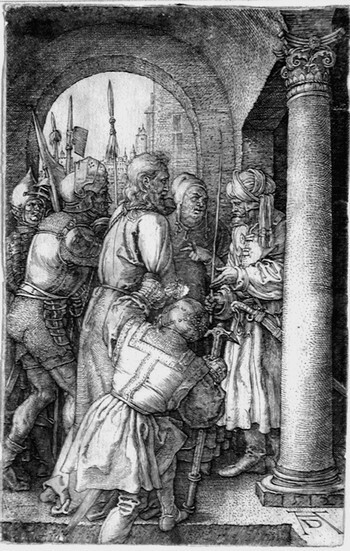 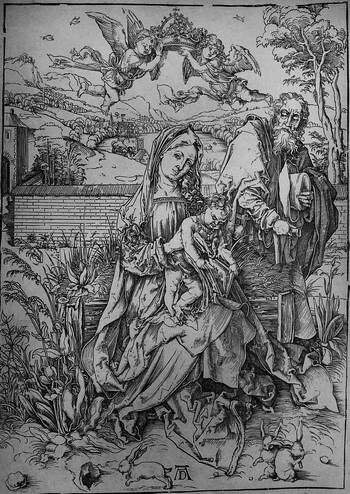 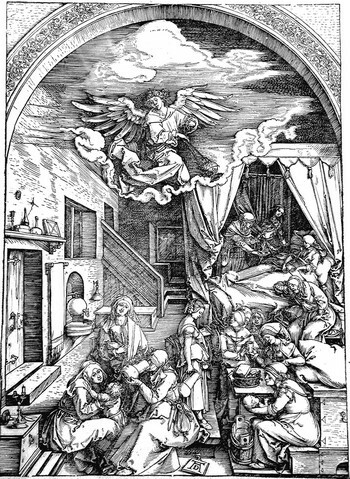 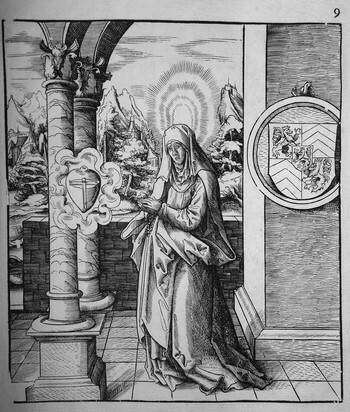 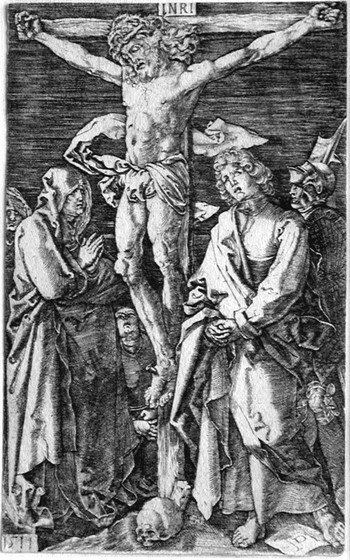 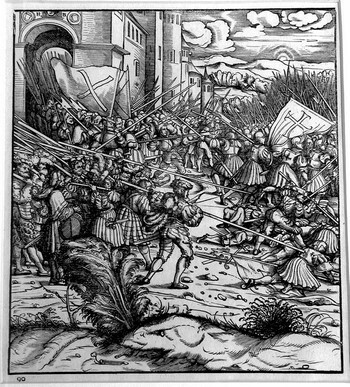 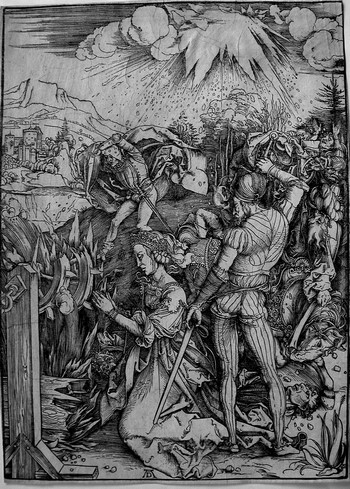 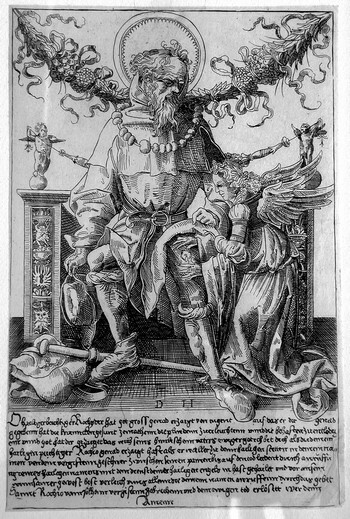 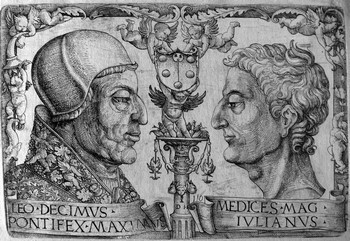 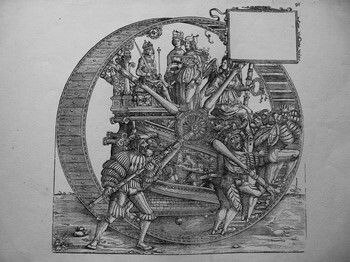 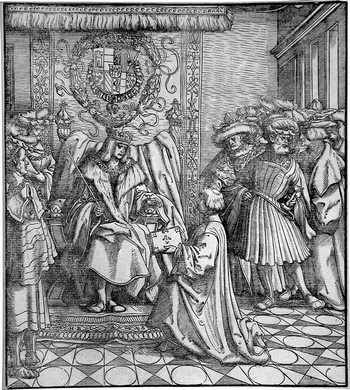 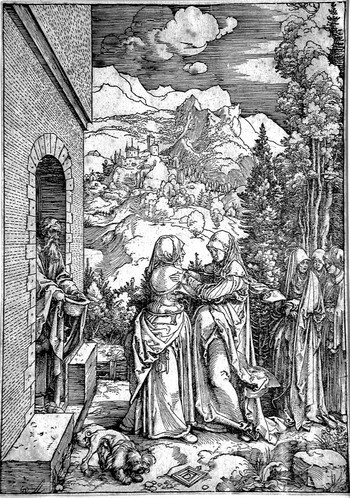 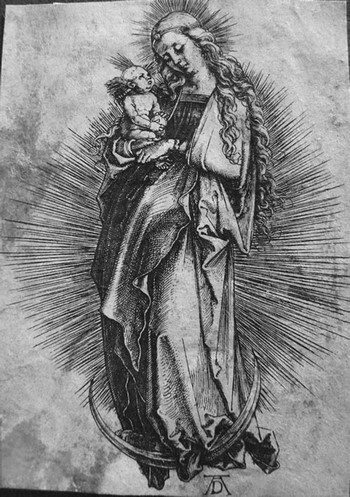 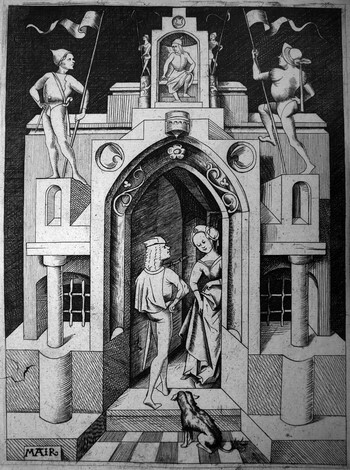 The passage in the second half of the fifteenth century from the woodcut to the copper engraving is done mainly through the work of Schongauer and after him, at the dawn of the sixteenth century with the plates of Dürer. 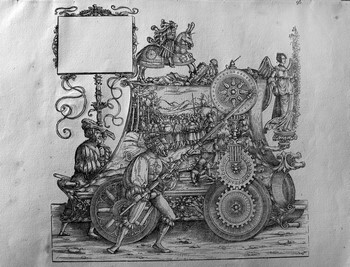 This lastest artist was soon surrounded by pupils and imitators from Burkmair to Springinklee. 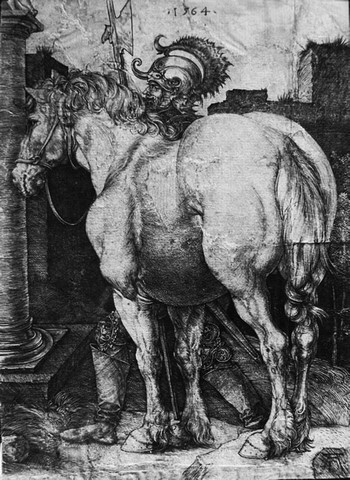 With his graphic work Albrecht Dürer, throughout the coming century, has transmitted his art and his thought, so to influence intellectuals and artists of Northern and Southern Europe.